"Maximize Muscle Fiber Growth While Shedding Body Fat In The Quickest Possible Time With The Iron Guru's Favorite High Intensity HONEST Workout"
A unique way to maximize muscle growth and rapidly pack on the pounds while at the same time reducing body fat simultaneously. The best part: You’ll be added to the VIP early bird launch list to get a discount on a recently published book about Vince full or rare tips. Who Was The Iron Guru? Vince Gironda was known for his unusual training methods. 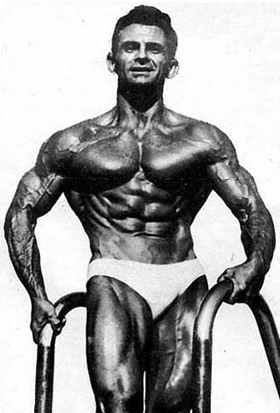 Some of his unique exercises included the bench press to the neck, the sternum chin up (touching the chest to the bar), “drag” curls and sissy squats with what he called a “Burlesque Bump.”Of all Vince’s techniques, the 8 sets of 8 program was one of his favorites. “I have a definite preference for the 8 X 8 system of sets and reps,” wrote Vince. “I come back to this high intensity “honest workout” more often than any other for maximizing muscle fiber growth in the quickest possible time for the advanced bodybuilder.”8 sets of 8 might be the most effective set and rep combination ever developed for rapidly building muscle fiber size while simultaneously shedding body fat. 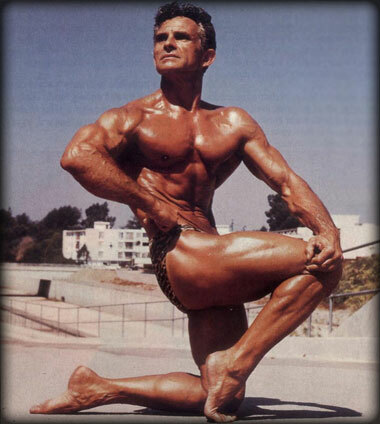 Vince called it the “honest workout ” because of the pure muscle fiber size that can be achieved on it. “Keep to 8 X 8 and your muscle fiber will plump out, giving you a solid mass of muscle density as a result,” promised Vince. My friend Alan Palmeiri has allowed me to share this pdf routine with you for a limited time. Simply enter your email below to discover how it can help you build muscle. I’m a huge fan of Vince Gironda and know that you are going to be blown away by this information.